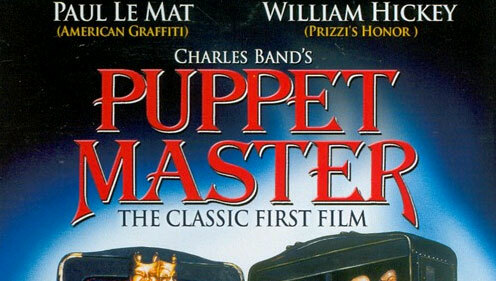 Even twenty one years after its release, I’m still very enamored with the “Puppet Master” series. Ever since the introduction of individual miniature terrors like Blade, Jester, and Leech Woman, I’ve been in love with the Charles Band Full Moon franchise that teamed the world of cruel human beings against the unforgiving dolls that threatened to bring down any and all menaces to their personal well being; I can still remember being a child trying to get as much from the series as possible from the video stores on my small allowance. “Puppet Master” is one of the more restrained installments of the series that features a slow burn premise about a group of psychics who infiltrate a local hotel to investigate the goings on and mysterious secret of life that has been mastered by puppeteer Andre Toulon. When the group of psychics finds it impossible to determine what secrets lie in the Bodega Bay Inn, they learn the hard way that Toulon’s guardians of the hotel have run free for decades and they’re small menacing specters of evil who come in their own unique personalities. This opens the door for a murder mystery and mystery thriller that causes the puppets to take a back seat to the chaos, and that’s what keeps “Puppet Master” from being the supreme installment in spite of being the first of its kind. The performances are strong and visuals quite eloquent as director David Schmoeller creates a mind bending surreal suspense flick that is more centered on the ultimate pay off involving Andre Toulon than the puppets altogether. The puppeteering while ancient is still rather eye catching as Schmoeller saves time and money by picture most of the puppets through point of view shots and roaming angles through the hotel while relying on stop motion to do the rest of the work vividly painting a picture of the characters and their own innovative defense mechanisms. Including the Tunneler and his steel drill atop his head, and Blade whose own hook and knife combo would become a trademark of the series. “Puppet Master” ends as a fairly Frankenstein-ish film that meshes dream like paranoia with classic monster movie tropes to bring us the first of a lasting money fueling legacy for the Full Moon collective and while it’s one of the weaker entries in the series due to pushing the puppets in to the background for a duration of the film, it gets the due respect it deserves on DVD and Blu-Ray. This remastered edition of the Full Moon Picture features a Digitally restored and remastered production with a 16×9 widescreen presentation and 5.1 surround sound. Among the special features there is an introduction from Charles Band whose interrupted by a police siren mid-speech, “No Strings Attached” the original making of segment from the VHS, and original trailers for Full Moon features. All form a masterful edition that stands alone among the library of Full Moon titles and is now available for fans of the series. This entry was posted in Full Moon Friday, Movie Reviews and tagged Fantasy, Full Moon, Horror, Mystery, P, Puppet, Thriller. Bookmark the permalink.